Revisit a bygone era with this 60s-inspired Cypress King Headboard. This piece is a style-laden throwback to the Sixties with its boxy design. The plank wood finish provides a visual aesthetic that's chic and on-trend. 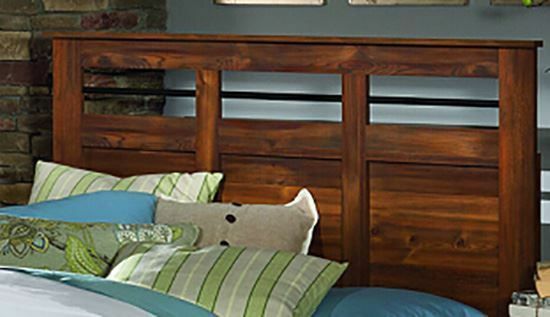 A true standout in any room, the Cypress King Headboard will certainly liven up your space. Interested in pieces to match this trendy headboard? Consider pairing this piece with the Cypress Dresser, the Cypress Chest, or the Cypress Nightstand. Your dream bedroom oasis awaits! Revisit a bygone era with this 60s-inspired Cypress King Headboard. This piece is a style-laden throwback to the Sixties with its boxy design.